Creepers. They’re absolutely TERRIFYING, right? 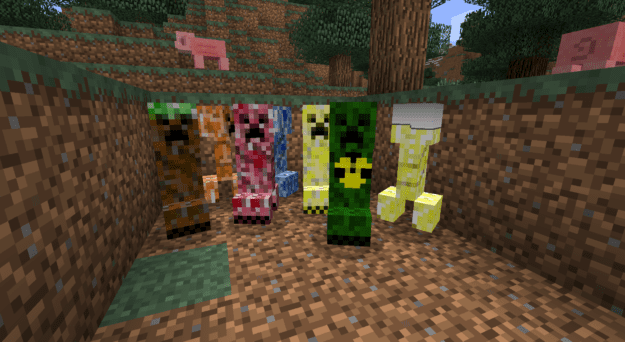 Well, this mod takes creepers to a whole new level. 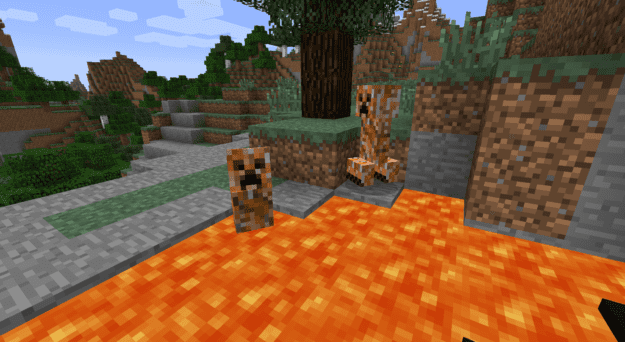 The fire creeper, who loves lava and spits out fire when he explodes. 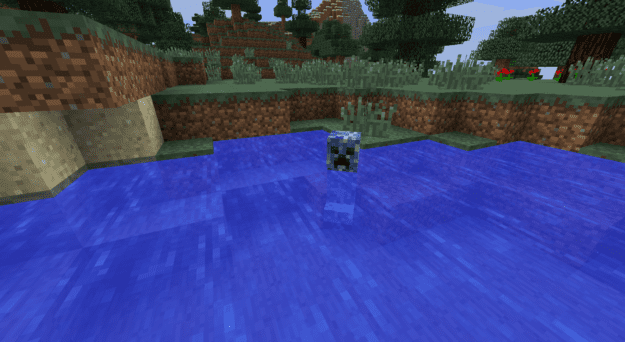 The water creeper, whom you can find lurking around water as he waits to soak you. 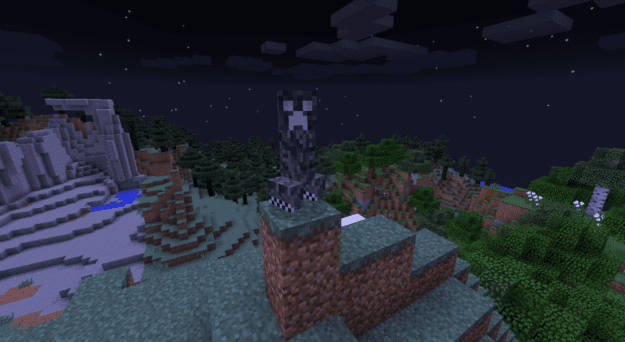 The ice creeper (a.k.a. 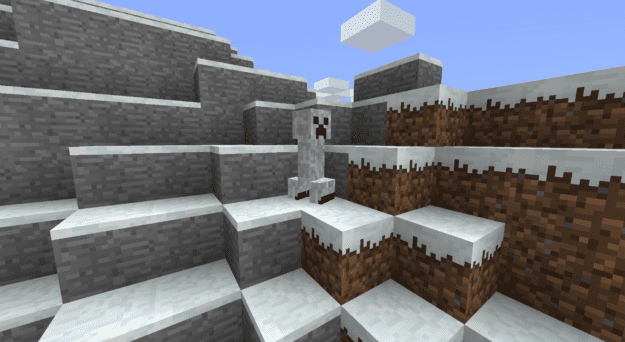 the snow creeper), a creeper that just wants every day to be a snow-filled one. The dark creeper, someone you don’t want to run into after the sun sets. And many many more! 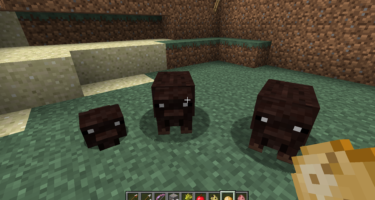 The complete list of creeper types is as follows: Fire, water, electric, earth, reverse, snow, light, dark, cookie, illusion, magma, psychic, spider, stone, wind, ender, solar, hydrogen, EU (requires IC2), and flux (requires a mod that uses redstone flux). Hey! 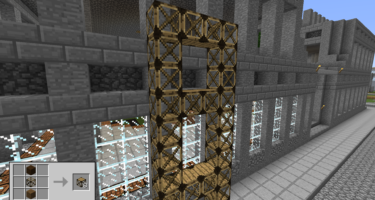 I made a mod showcase of this mod. Its on my channel onlinegamer05 if you wanna check it out! The link is fixed now. Thanks! I like it very much! So hard to choose a mod to download! I’m not finding a lot of information on the EU Creeper and Flux Creeper. If anyone knows what these creepers do, please let me know!